According to a research published recently in the Lancet Journal, a rapid diagnosis is now possible for the deadly virus Ebola. The conventional lab based tests done until now are not just time consuming, but also come attached with the risk of virus leakage in the blood sample being carried. This can lead to a situation of a high probability exposure to the virus, along with delays in detecting the virus. As a result, this on-the-spot detection is a sure step forward to curb the Ebola virus spread. The study also states that the results achieved through this new method are as accurate as the conventional lab based system. 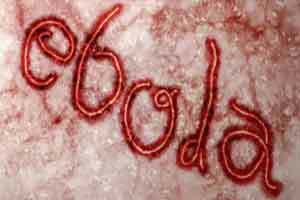 According to a PTI report, this point-of-care Ebola Virus Disease (EVD) test is faster than and as sensitive as a conventional lab-based molecular method used for clinical testing during the recent outbreak in Sierra Leone, as a result of a patient trail conducted by the authroities. 106 suspected Ebola patients admitted to two treatment centres in Sierra Leone during February 2015 were tested by both RDT (performed on a fingerstick blood sample at the point-of-care) and by standard RT-PCR (performed on plasma in the laboratory). Both RDT (on whole blood) and RT-PCR (on plasma) were also performed on 284 samples in the laboratory. The RDT detected all confirmed cases of EVD that were positive by RT-PCR in both point-of-care (28/105 patients) and laboratory testing (45/277 patients), with sensitivity of 100 per cent, and a specificity of 92%.